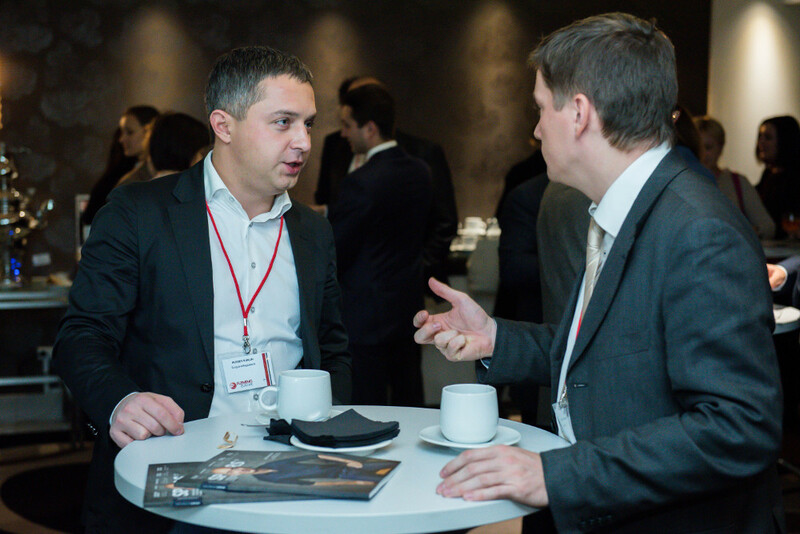 Results from the Russian Summit on Private Banking and Wealth Management | Fleming. The two days of the event were divided into three strategic blocks: Legislation, Forming a sustainable investment portfolio and Striving for excellence. The chairman’s role was taken by Arseniy Volynov, Head of Private Banking in GLOBEX BANK (VNESHECONOMBANK group), who officially opened the conference with his welcome speech. The first block – Legislation – started with an overview of the current market state, presented by Director of the Banking Institute of the Higher School of Economics Vasily Solodkov. He spoke about searching for a sustainable Russian market model, Russian positioning in the Global picture and specified the latest trends relevant to the current market. The core idea of the 1st block was devoted to the legislation innovations and their impacts on private capital and business holders. Maya Toreeva, Private Banking Team Manager in EY, explored the topic of legislation changes: she shared statistics of the Russian re-offshoring campaign and named the emotional problems clients had due to the new laws. Maya also described all the possible risks and the main strategies of exiting the current situation. The topic of forming a sustainable investment portfolio started with the presentation of Kristel Meos, Wealth Management Partner at Zenith Capital Management. In her presentation ‘International structuring and capital management in today's globalized and rapidly changing world,' Kristel spoke about the essential phases in cooperation with the client in order to determine the most suitable and optimal way of investing. As someone deep in alternative business investment opportunities, Vera Loseva, Head of the Corporate Finance Department in M2M Private Bank, explained the growth of international investment interest in such industries as hi-tech, media and Internet, industries 2.0, brand markets, etc. Vera’s presentation gave insight to the participants; a few of whom even found it hard to believe that some of the above industries have grown several-fold over one year. The first day of the summit finished with the presentation of Igor Ryabov, Head of Private Banking in Unicredit Bank, who performed a pros and cons analysis of international investment advisory standards implementation in Russia. On the second day, the Deputy Head of Private Banking in Sberbank, Anna Matveyeva, spoke about the success of the training program for a capital successor which helped 2nd and 3rd generations to feel more confident in inheritance and succession of wealth issues. Alexey Ischenko, Managing Director in Promsvyaz Asset Management, led a discussion about the strength of a trustworthy brand. Alexey vividly analyzed bright examples of indisputably trustworthy brands and shared his opinion on the quick alternation of private banker generations in Russia. Karapet Lulukyan, Head of the HNWI Department in VTB Capital Investment Management, spoke about Russian market trends in asset management for HNWIs. Mikhail Gromov, Head of the Investment Consulting Department in Citibank, devoted his presentation to the wealth consulting concept when cooperating with private clients. Martin Graham, Chairman of the Board in Oracle Capital Group, opened the last part of the Russian Summit on Private Banking and Wealth Management - Striving for excellence. Martin shared his strategy for ensuring Global presence by striking strategic alliances all over the world, spoke inspiringly about the challenges of family offices in times of uncertainty and explained the “One-stop-shop” delivery model based on deep client relationships. Board member of Russian Standard Bank Kamal Bushi amazed the audience with his presentation about lifestyle management for wealthy clients. He emphasized that this is an inherent part of private banking. He explained how to divide the responsibility of lifestyle management among private bankers; highlighted the complexity of the art of lifestyle management ; and pointed out the necessity of keeping transparency within a bank’s commission and contractor income. During the after-lunch session, Olga Degtyareva, CEO in URALSIB Private Bank, shared her knowledge in reaching excellence in client experience. She spoke about switching from “product sales” to “solution creation”, ways of understanding the client and about tendencies in client demands. 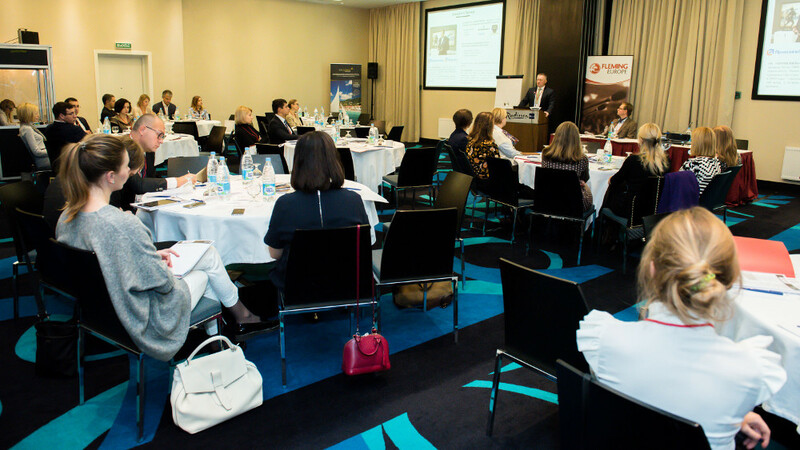 Ruslan Snegur, Head of L&D in Gazprombank Private Banking, came out with the best practices of “Private Banking School,” referring to the training for employees dedicated to wealthy clients. The speech dealt with human capital as competitive advantage, present-day modernization from “staff development” to “Private Bankers Club,” a modular approach to setting-up an internal training system, and proper qualification level maintenance and evaluation. The next speaker was Andrey Babiyan, Head of Alfa Capital Wealth, with his presentation regarding present-day Wealth Management and broadening methods for standard WM services. Full auditory attention was held by the example of up-to-date mobile application usage for effective interaction with the customer and satisfying the client’s urgent needs. The closing presentation was done by Ruslan Yusupov, senior analyst in Skolkovo Wealth Management Center. It touched upon the successors of Russian fortunes. In particular, Ruslan shared what the opportunities and challenges are that can face private bankers while working with 2nd and 3rd successive generations. By the end of the 2nd day, Chairman of the summit Arseny Volynov summarized the meeting and awarded Yuri Moskalyuk from Rietumu Asset Management with the “Top Delegate Contributor” certificate. Yuri actively participated in all the activities during the whole event and was deeply engaged in each presentation, asking almost every speaker quite many relevant questions. The evening was concluded with a farewell coffee in a warm, friendly atmosphere. Fleming. thanks all the participants! See the photo gallery and feel free to tag yourselves or your colleagues.